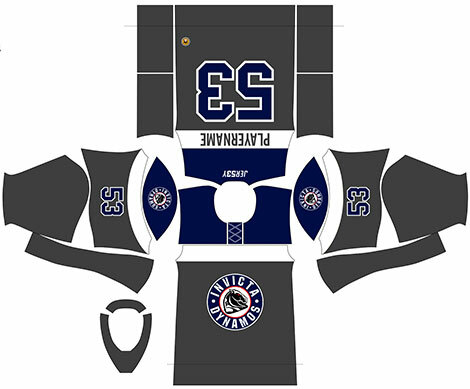 It’s a new look for a new season as the Invicta Dynamos head into the 2017/18 with a trio of newly designed home, away and warm-up jerseys that are available to order now! For details on how to order please scroll to the bottom of this article. 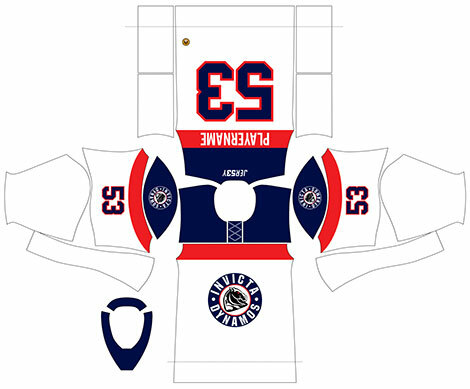 At the SilverBlades Gillingham the Mos will don a predominantly white jersey featuring blue neck and shoulders and a red trim. The home shirt has a lace up top, a club crest on the front and shoulders and numbers on both the arms and the reverse of the jersey. The new look away strip for the Dynamos will see the team line-up in blue when they venture away from Gillingham. 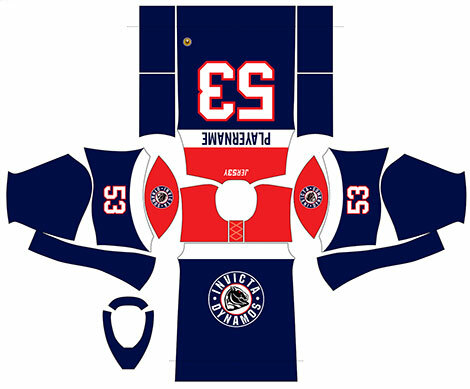 Though predominantly blue, the jersey also features red neck and shoulders and a white trim. As on the home top, the away kit also has a lace up top, a club crest on the front and shoulders and numbers on both the arms and the reverse of the jersey. Ahead of both home and away fixtures the Dynamos will take to the ice in warm-up tops that are predominantly grey, have blue neck and shoulders and a white trim. 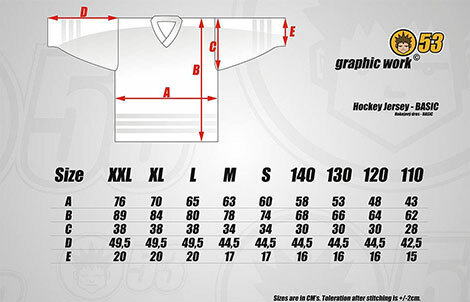 The jerseys come complete with lace up tops, logos on the front and shoulders and numbers on both the arms and reverse of the jersey. Warm-up tops are NOT available for individual purchase and are presented to player sponsors only. To get your hands on a warm-up jersey sponsor your favourite player’s warm-up kit for just £125. Name Required (eg Zosiak. Can be left blank). Number Required (eg 10. Can be left blank).